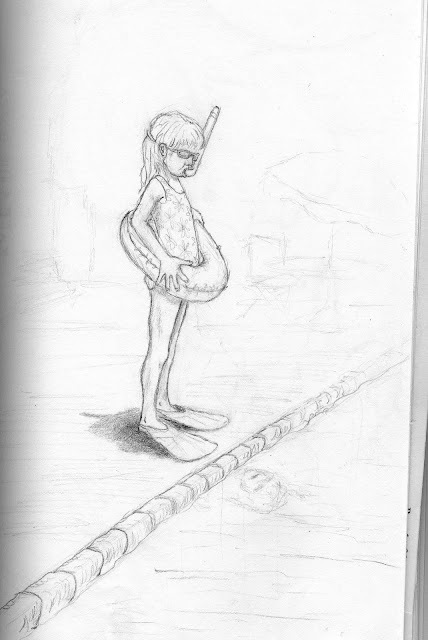 This is a sketch from a few years ago that I drew on our flight to Florida for Spring Break. There were about thirty of us in all going on a cruise in the Caribbean and I couldn't wait to get to some nice weather! I'll post more sketchbook drawings tomorrow.